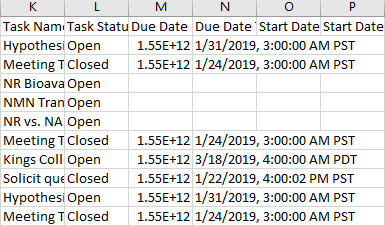 The data for dates in the CSV export is not formatted correctly. Can this be fixed? Hey Noelle! you should see both an "unformated" date as well as a formated date. @Zeb: Thanks Zeb. You left both formats in? Why?